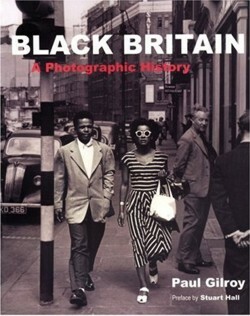 Ground-breaking research undertaken by Operation Black Vote shows that the Black Britons and other minority ethnic electorate could decide over one quarter of the seats in the 2015 General Election. That means Black and Minority Ethnic (BME) voters have the greatest opportunity ever to effectively engage in British politics. Using the 2011 census, researchers looked at the BME electorate in all 573 of the seats in England and Wales and found 168 marginal seats where BME voters outnumber the majority held by the sitting MP. Entitled ‘The Power of the Black Vote in 2015’, the research reveals 168 constituencies in both urban and suburban areas, demonstrating that the BME electorate have never been more powerful. With more marginal seats and more BME voters right across the geographical map, power is shifting. Political parties must wake up and realise that without the BME vote they could lose - and therefore devise policies to tackle persistent race inequalities. Author of the report Lester Holloway said that the study should be a wake-up call to every political party that they cannot ignore or take for granted BME voters any longer. “BME Britons have the political muscle to change not just their MP, but the Government. Increasingly BME votes are up for grabs in marginal seats and any political party to seriously court the vote may well get the extra boost they need to cross the line into power,” Mr Holloway said. The Liberal Democrat Deputy Leader, Simon Hughes MP, said the findings were "very significant". He added, "Unless all parties and candidates engage with and seek to win BME support, they could be in political difficulty locally and see their general election prospects significantly set back." Shadow Justice Minister Sadiq Khan, the MP who ran Ed Milliband's leadership campaign said: "The DNA of politics needs to change in the light of this research. This research shows how important the ethnic minority electorate is going to be in future general elections. Any party that seriously wants to win needs to take the ethnic minorities with them."